Come hang with other expectant & new parents and some of our Doulas of Asheville birth and postpartum doulas. Make connections and expand your community as you prepare to welcome your new baby(ies) and adjust to life with little ones. 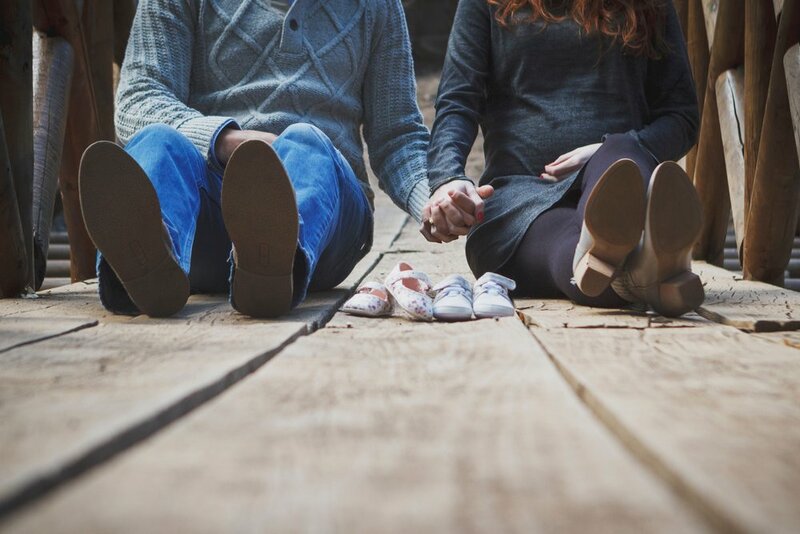 Our doulas will be on hand to answer any questions you have about giving birth in Asheville, adjusting to life with babies, and connecting to local resources that may help ease your adjustment to parenting. Yummy treats will be served, Children welcome. This event is "open-house" style from 11am-12pm. Come as you are, whenever you are able, and leave when you need to. Pop in for a few minutes or stay for the whole hour. Babies & Toddlers & Older kiddos welcome! There's a nice little play space connected to the "Mix & Mingle" room. This event is FREE and open to the public. Advanced registration is helpful (so we have enough treats!) but not required. Doulas of Asheville co-owners (& sisters!) Elizabeth Pauley and Christine Robinson. Elizabeth (left) is a BSN-RN and currently a Labor & Delivery Nurse at Mission Hospital in addition to owning Doulas of Asheville. She is a CAPPA Certified Labor Doula, ProDoula Pre-Certified Postpartum & Infant Care Doula, Placenta Encapsulator, and Childbirth Educator. Learn more about Elizabeth here. Christine (right) is a CAPPA Certified Labor Doula, ProDoula Pre-Certified Postpartum & Infant Care Doula and Placenta Encapsulator, Hypnobabies Childbirth Hypnosis Doula, and Certified Happiest Baby Educator. She also has a Bachelor's degree in Psychology and a Masters degree in Public Policy. Learn more about Christine here. Elizabeth & Christine have curated a team of experienced, compassionate professionals to support our birth and postpartum doula clients as they welcome their babies and adjust to their new roles as parents. All our agency doulas are trained by international doula certifying organizations, have First Aid/CPR Certification, and are insured. We'll work with you to find out exactly the type of support you are looking for and we'll match you with your family's ideal doula. Complimentary interviews are offered prior to contract signing.